911 Broadcast is the emergency notification services division of DSC (Database Systems Corp.). DSC has been providing computer telephony products and services since 1978, particularly for the call center industry. DSC provides the latest voice broadcasting technology including emergency alert systems and emergency notification services. Whether you need to purchase your own emergency phone dialer or utilize our emergency dialing service, you can rely on us to deliver your alert messages promptly and accurately. 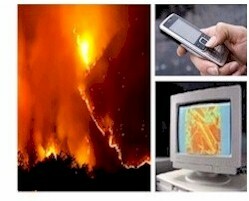 Emergency call systems are designed to contact your community in the event of any type of emergency. These phone systems and services can deliver important messages to your residents quickly and efficiently. Should a disaster such as a hurricane or tornado threaten your area, we can provide community notification and evacuation instructions immediately. DSC emergency calling systems are equipped to connect these emergency calls to members of your emergency response team, whether they are working remotely, from home, or in a central dispatch area. Contact DSC to learn more about our emergency call systems and phone services. Bronxville Public Schools currently utilize our emergency broadcast system that delivers urgent messages to school members and faculty. These alert messages provide information regarding emergency school closings due to snow storms, severe weather, and other emergencies. DSC provides a complete family of emergency voice broadcasting systems that can be easily managed online at your emergency call center or from a remote location. These systems are configured based upon the size of the community you need to contact as well as the time frame in which your members need to be contacted. Our network-enabled PACER phone systems allow you to build your own network of emergency dialers or join others. Because diferent types of emergencies dictate the time constraints required to notify residents, it is important that your emergency auto dialer can provide this notification quickly. By combining many phone dialers in a network, DSC gives you this fast response capability without the expense required to manage this resource. WIZARD Analog Dialer - Our analog phone system known as the WIZARD series can provide automatic emergency message dialing to small communities or emergency response teams. This series can be configured from as few as 4 lines to up to 24. This enables you to broadcast up to 1500 messages per hour. PACER Digital Phone Dialer - This digital phone system can provide emergency voice broadcasting using up to 10 T1 phone lines per system. This provides your community with an effective message delivery rate of up to 15,000 emergency messages per hour. Network Emergency Dialers - Multiple PACER phone systems can be managed by one central program that distributes calls throughout a configured network. Because availability of phone lines changes dynamically, our control software can optimize the distribution of calls based upon the phone resources that are available at any one moment. Networked emergency dialers can reside on your local area network or can be controlled over the internet. Because there is no limit to the number of dialers in your network, the number of calls per hour is limited only by the resources you have available. Contact Us Today to learn more about our emergency calling systems and services. CARE�, Call Reassurance� and Emergency-Calling.com are Trademarked by Database Systems Corp.